Lonjay joined the Marian Middle School family in October 2013 as a reserved, underperforming fifth grader. Her standardized tests showed that she was performing below the national average range in mathematics, science, language arts, and social studies. 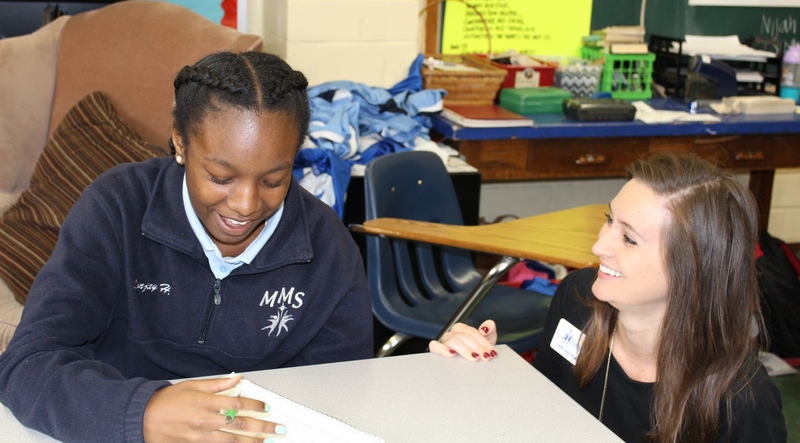 After just one year at Marian, Lonjay’s standardized test scores significantly improved and she was no longer performing below average in any category. By her eighth grade year, she had made statistically significant gains and was scoring well above the national average in every category! Because of the quality middle school education afforded to her and the loving social support she continues to receive from her Marian family, Lonjay is excelling at Nerinx Hall High School. She is involved in Diversity Club, Photography Club, and Circus Club, and has plans to try out for the track and soccer teams. Lonjay recently received her first report card as a high school student. She and all of us at Marian are very proud of her 3.87 GPA!